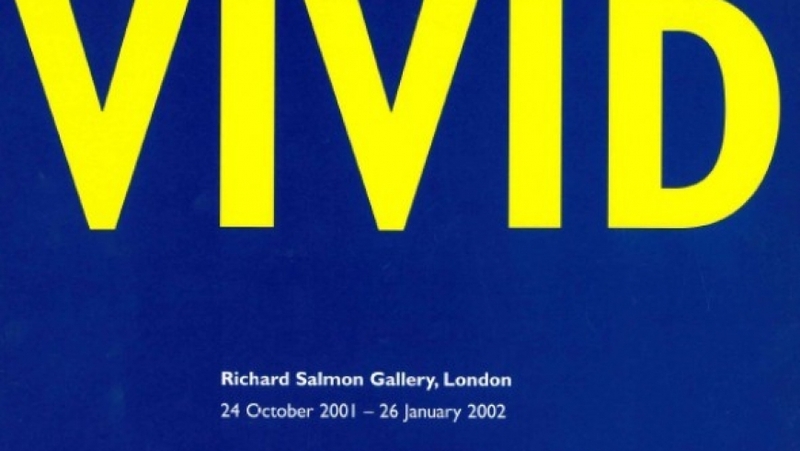 Exhibition curated and organised by Richard Salmon Gallery in London. Vivid brings together the work of seven British and five American contemporary abstract painters. The title refers to the encounter between the work and the audience who are seduced by the force of colour, shape and texture and challenged by the absence of settled or fixed meanings. There is great variety in this exhibition, from the mature and lyrical work of Jonathan Feldschuh to the bold and energetic marks of Clem Crosby. British artist Torie Begg follows a systematically defined way of making a painting by laying down colours in a particular order that produces very rich and complex results. American artist Diana Cooper makes maze like constructions that are at once paintings, drawings, sculpture and installation. They extend from the wall in to the gallery space, redefining and confirming the potential of this artform. The exhibition introduced Daniel Sturgis to the Mead Gallery. One of his paintings in this exhibition was acquired for the University of Warwick Art Collection and he subsequently co-curated another exhibition about abstract painting for the Mead Gallery in 2012.